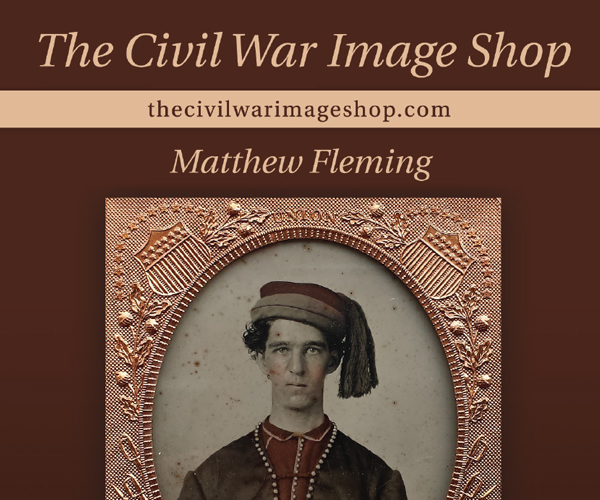 It seems somehow appropriate that while at the Franklin Civil War Show we should scan this carte de visite of Tennessee’s Samuel “Champ” Ferguson. 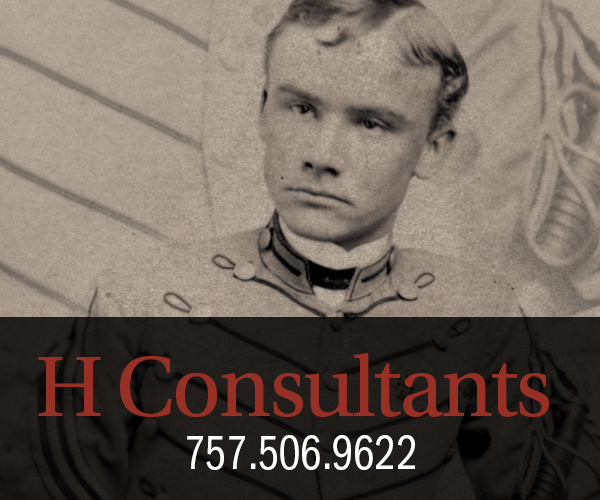 In August 1865, he posed for this portrait with his guards from the 9th Michigan Cavalry in Nashville for photographer C.C. Hughes. 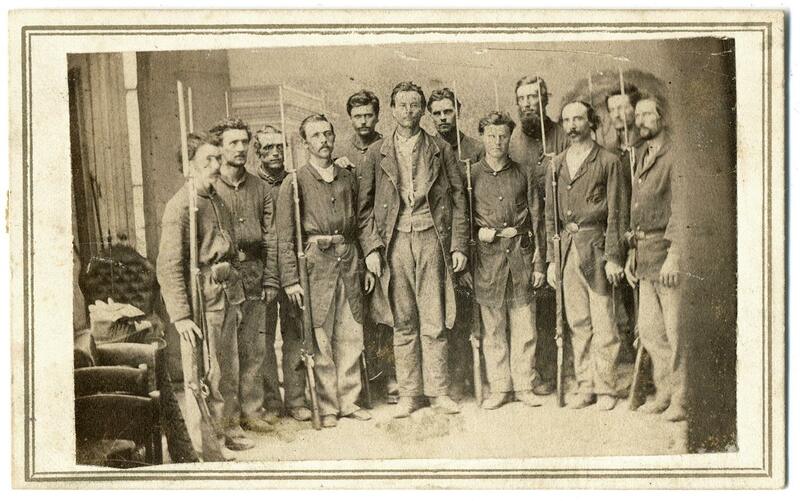 Ferguson, a Confederate guerrilla leader in Tennessee, is the tall man in the middle. 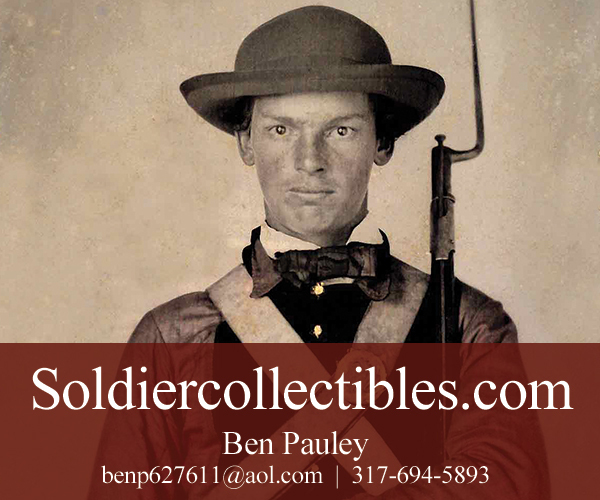 A military tribunal convicted him on 53 counts of murder, and he was hanged in October 1865. 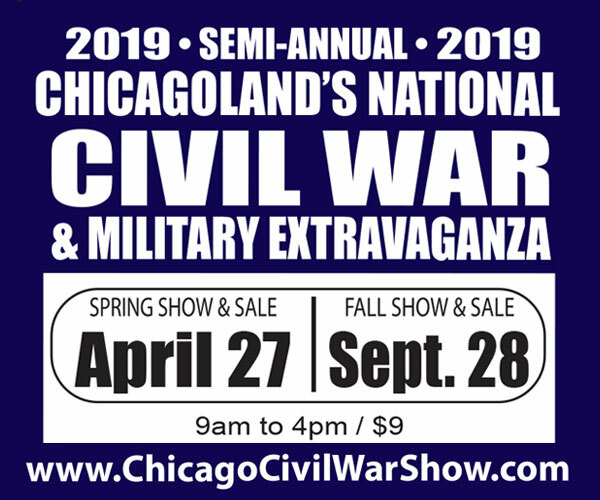 The show was great for Military Images: Hanging our with old friends, making news ones, scanning some incredible images and setting a one-day record for subscriptions. From the team at MI, a big thanks to all! 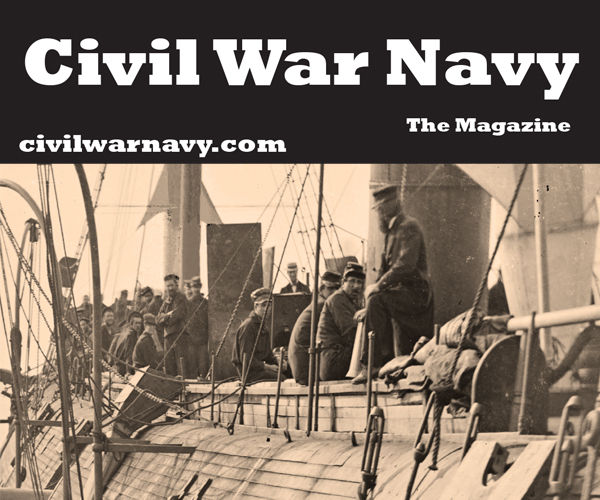 You may have noticed content from our magazine in other Civil War publications. 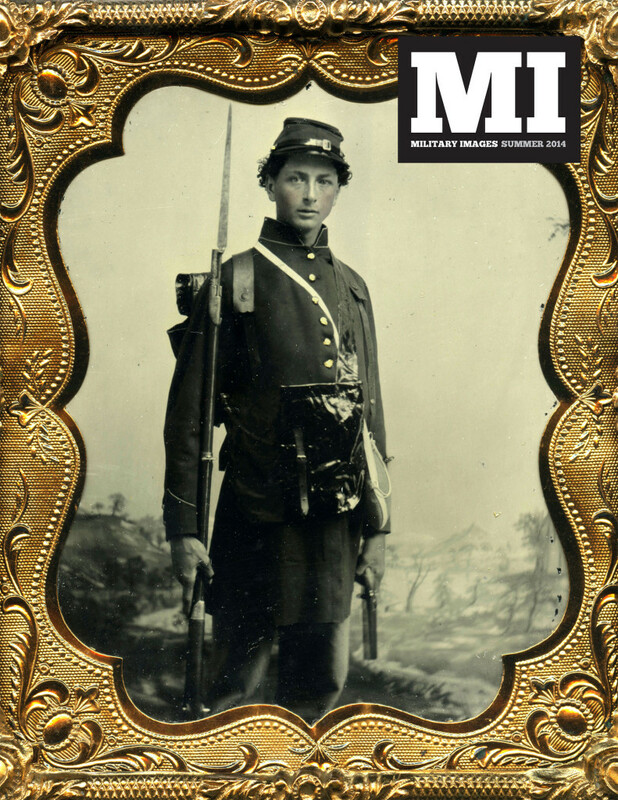 For example, The Civil War Monitor publishes an occasional series, Faces of War, based on images that have appeared in MI. 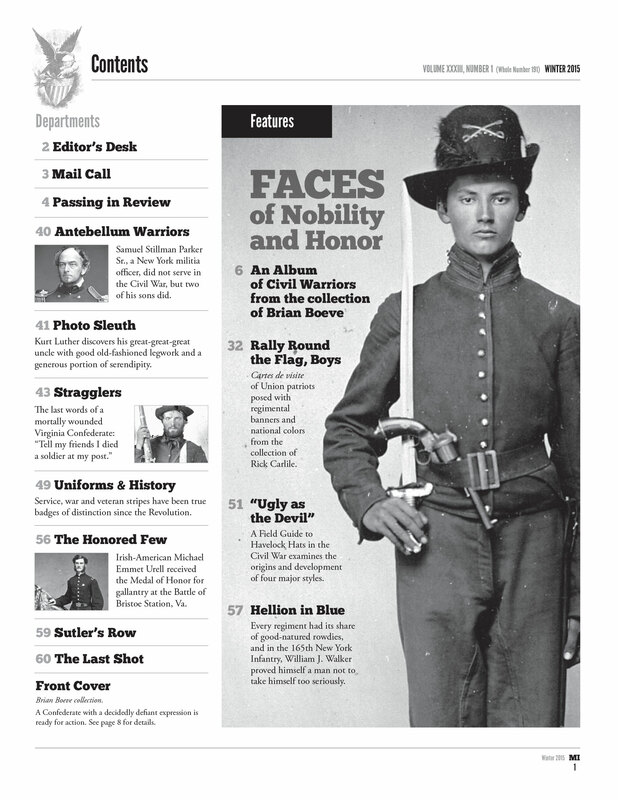 The magazine of the Civil War Trust, Hallowed Ground, also includes an MI feature. What is the sharing is all about? Aside from the obvious promotional efforts, there is a more substantial reason that is at the heart and soul of our magazine. 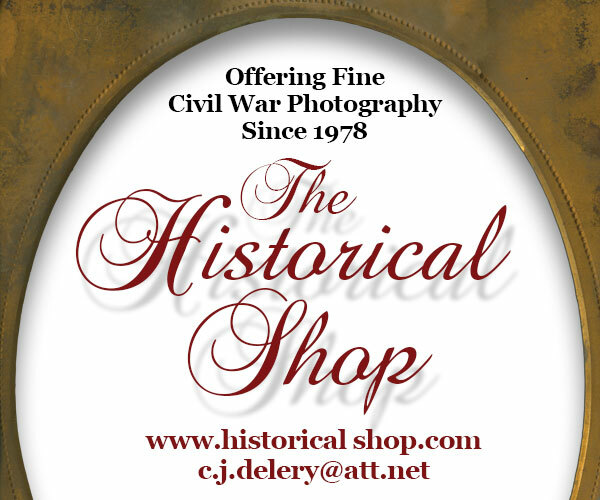 The reason is our mission—to showcase, interpret and preserve Civil War portrait photography. These unusual images are a relatively new to our eyes. 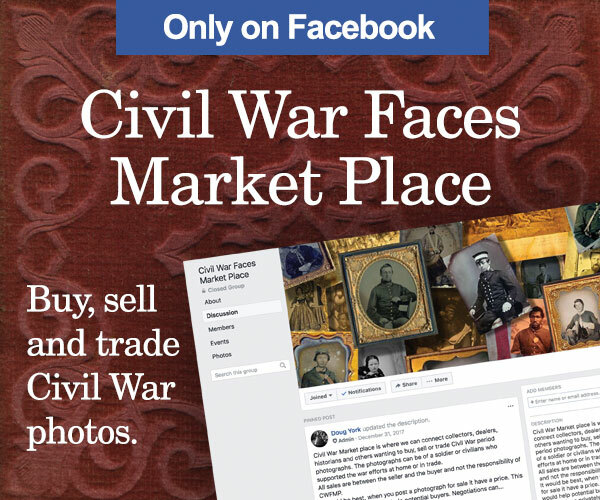 For a century after the end of the war, the vast majority were hidden away in albums in attics and basements. 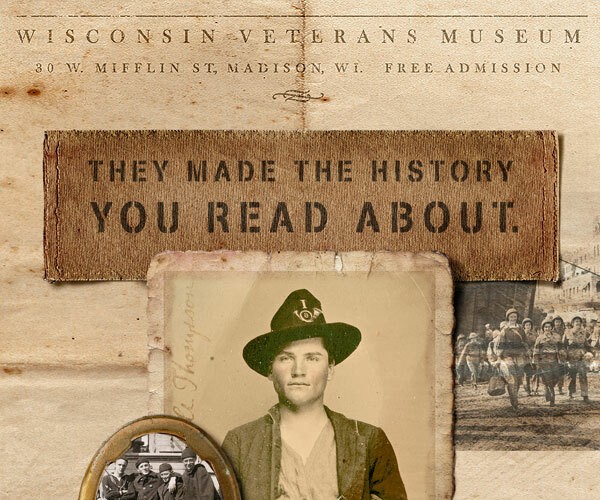 A small number were published by veterans during their lifetimes in books and magazines—but they were relatively few compared to the overall number in existence. 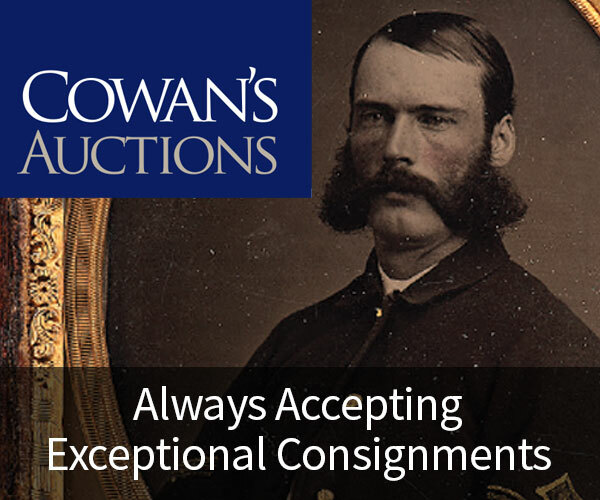 Beginning the late 1950s and the 1960s, following Bruce Catton’s popular histories of the war, the centennial and the passing of the last living veterans, these singular portraits began to show up at flea markets, antique shops and other sales. Today, they are highly collectible. And we’ve made it our mission to document as many as possible. We’ve been at this since 1979. 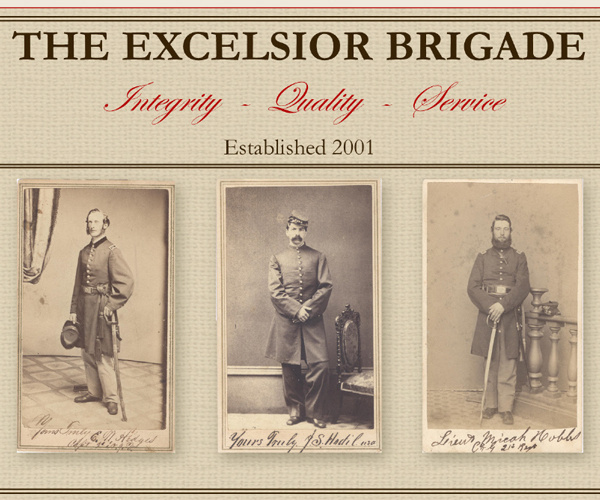 So, the next time you see a portrait of a Union or Confederate soldiers, remember them and their service. And also think about what MI is doing to keep their faces and stories alive. The face recognition technology used in CWPS displays unique reference points used for comparison to other images. Betaface.com. Back in February at Virginia Tech in Blacksburg, I glimpsed the future of soldier photo identification. 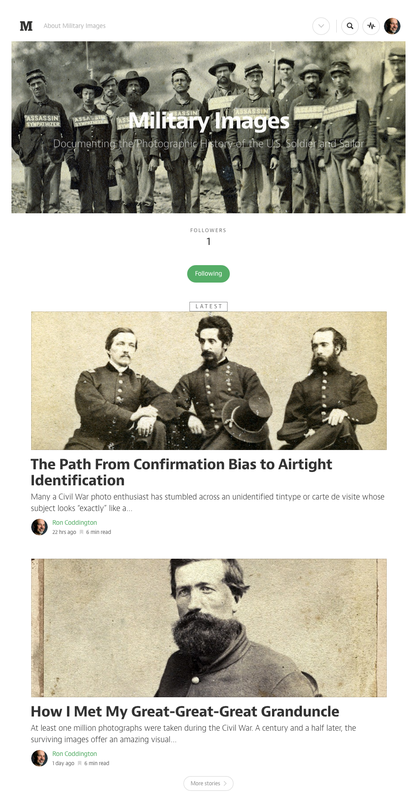 In the conference room of a building on campus, professor Kurt Luther brought our team up to date on CivilWarPhotoSleuth.com (CWPS). 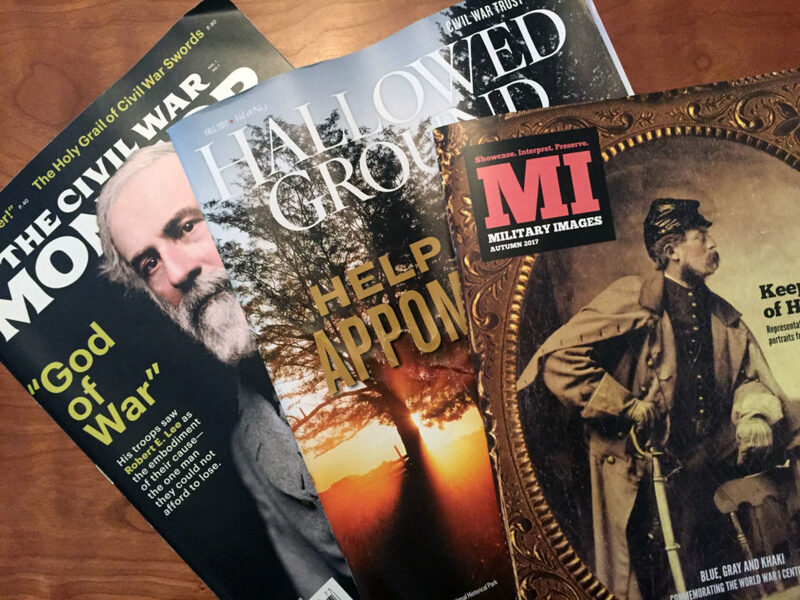 In this moment, I realized that the time-honored process of soldier identification evidenced on the pages of this magazine since it’s founding had met the Digital Age. 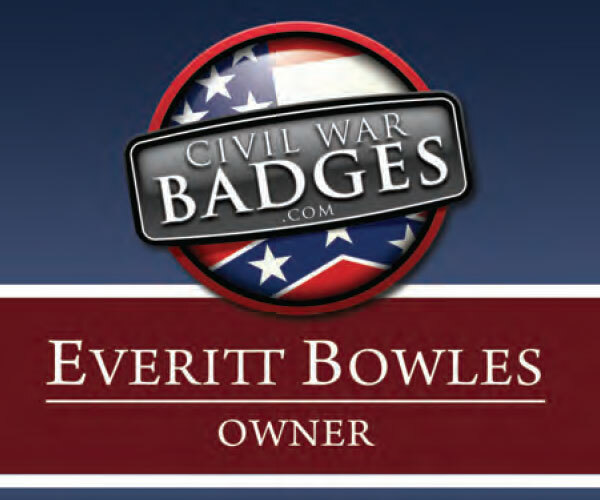 Kurt is the founder of CWPS, and Military Images is a proud partner. I came to know Kurt three years ago at the 2014 Gettysburg Show, where we had a great conversation amidst the hustle and bustle of activity. 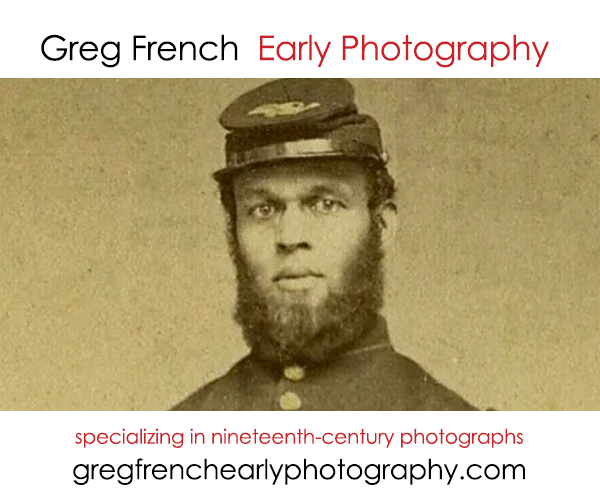 We shared our enthusiasm for Civil War portrait photography, and I came away deeply impressed by his grit and determination to identify unknown soldiers and sailors. And, Kurt was friendly and engaging to boot. Our conversation paved the way for Photo Sleuth, Kurt’s regular column in MI. Since its debut in the Winter 2015 issue, Photo Sleuth has explored concepts, methods and tools through case studies and other means. The columns have provided a tremendous boost to photo sleuths of all stripes, and I’ve found them incredibly helpful in my own research. Kurt’s work builds on the traditional approaches and processes familiar to anyone who has attempted to put a name to the face of an unknown Civil War soldier: Basic observations of uniforms, equipment and back drops, provenance and painstaking research using primary documents, journals, books, databases and other sources. I am reminded of many hours spent flipping through pages of regimental histories, searching faces on the American Civil War Research Database (HDS), and reaching out to fellow collectors through email and on Facebook—all in anticipation of that Zen moment when a rock-solid identification is made. 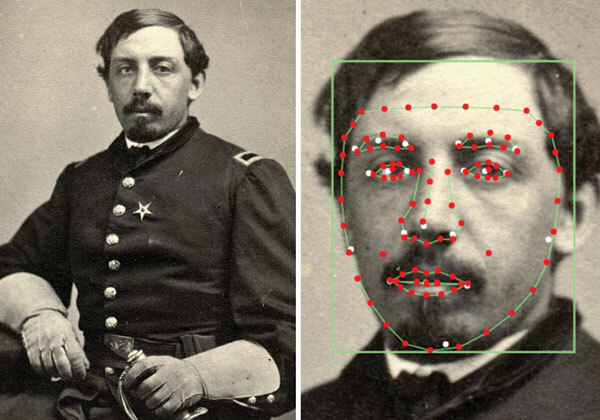 CivilWarPhotoSleuth.com is the next advancement in the identification process. 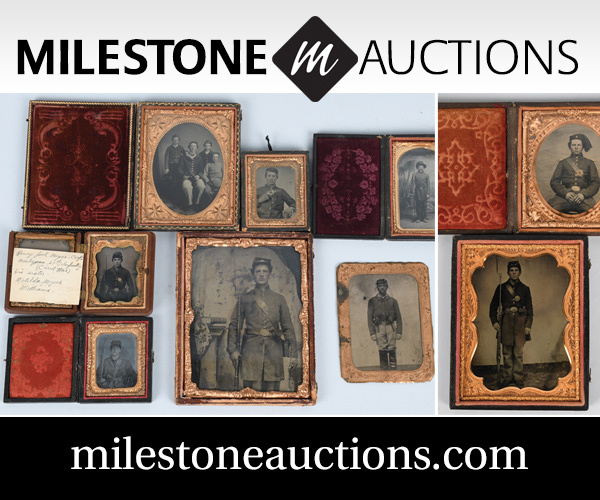 CWPS brings together photo archives, research tools and online community to increase identifications and support new scholarship related to Civil War portrait photography. Turn to Kurt’s column on page 18 for details about this exciting new tool. 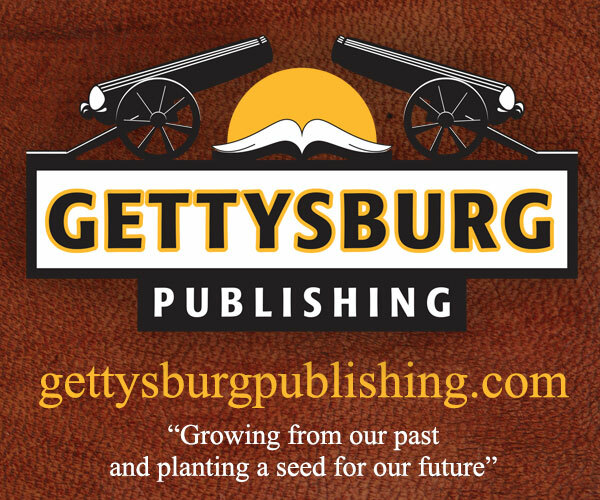 And if you are planning to visit this year’s Gettysburg Show from June 24-25, join Kurt and I at the MI table for a live demo. Oh, and bring an unidentified photo with you! Together, I hope we can put even more names to faces of the unknowns in blue and gray. 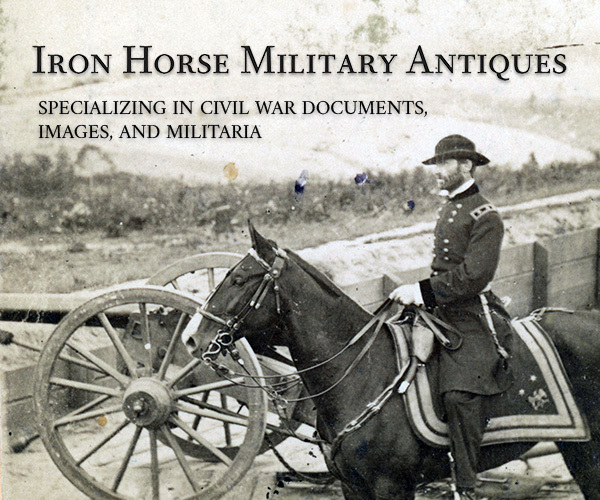 Representative examples of his collection are featured in the Spring 2015 issue of Military Images. Go to the finding aid for this issue. Subscribe to the print and/or digital edition. Delighted to announce the Table of Contents for the Winter 2015 issue. 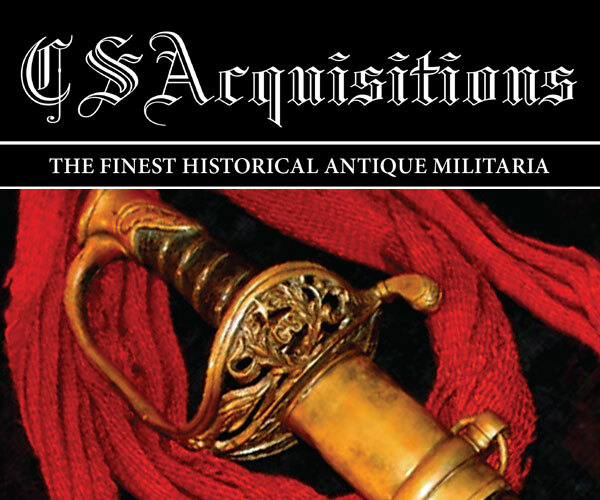 60 pages of images include a feature gallery by longtime collector and MI contributor Brian Boeve, a gallery of flag bearers from another longtime contributor, Rick Carlile, a guide to the Havelock hat, “Ugly as the Devil,” by MI Senior Editor Ron Field, and “Hellion in Blue,” a wonderful profile of a New York officer. 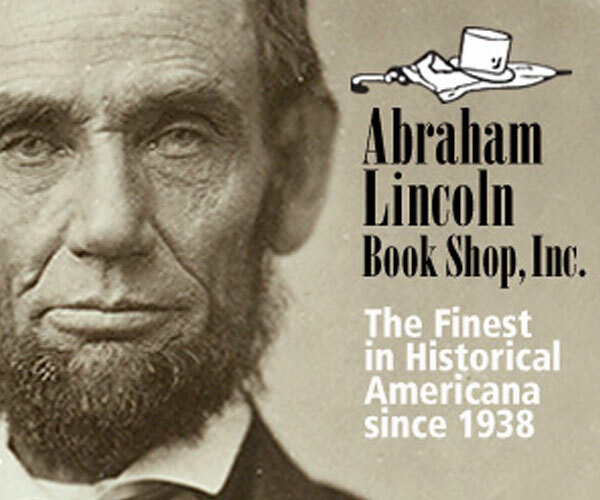 You’ll also find all our regular departments and two debut departments—Photo Sleuth: Real life accounts on the research trail by Kurt Luther, and The Honored Few, which features Medal of Honor recipients. If you like what you see, please take this opportunity to subscribe. The annual cost is $24.95 for four quarterly issues—240 pages of original images of citizen soldiers. MI needs your support, so please step forward and march with our army of core subscribers today! 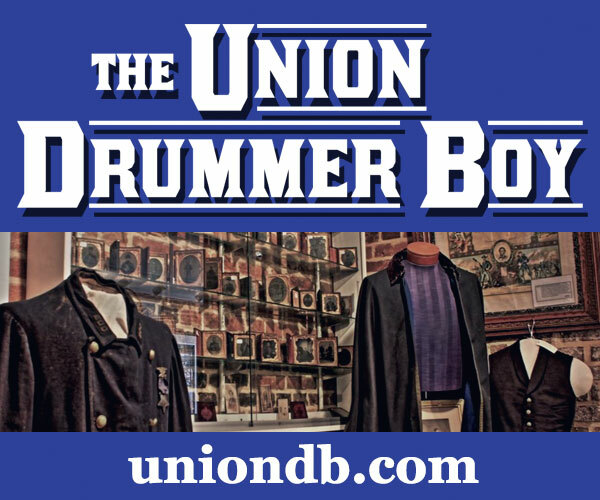 An album of portraits of men from the 25th U.S. Colored Infantry has been donated to the Smithsonian’s National Museum of African American History and Culture. The photos were published for the first time in the Winter 2014 issue of Military Images magazine. The album was donated to the museum by a descendant of Capt. William A. Prickitt. The descendant currently remains anonymous. 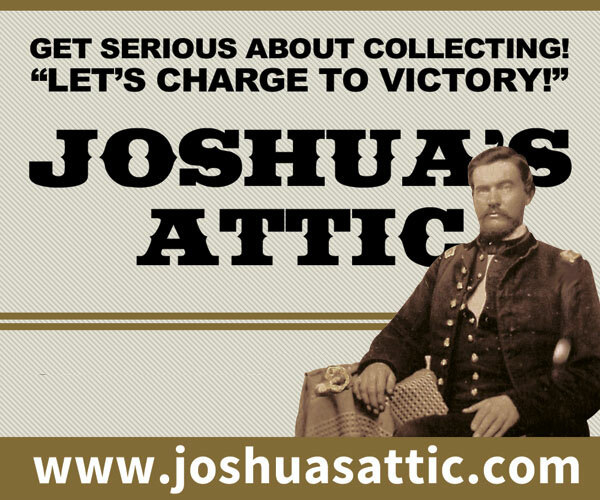 Prickitt started his military service in the 14th New Jersey Infantry, and became the original commander of Company G of the 25th when it was organized in Philadelphia in early 1864. 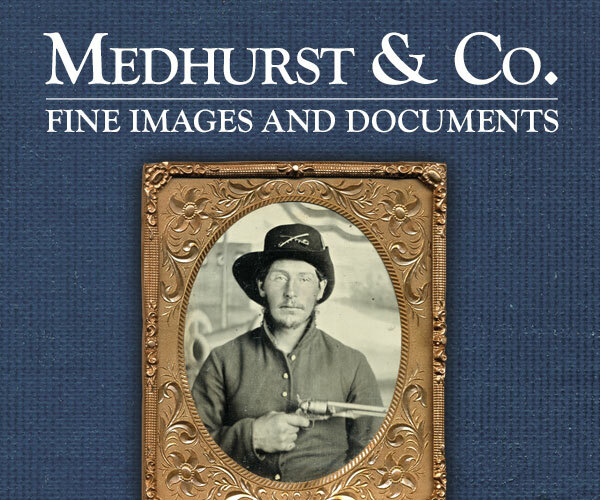 The album contains 18 gem-sized photographs, almost all tintypes. Someone, perhaps Prickitt, carefully wrote the names of 17 of the 18 men on the mat below each image. The soldiers hailed mainly from Delaware, New Jersey and Pennsylvania. One of the men, George H. Mitchell, was a slave in Delaware. His master, Caleb Layton, enlisted him in the Union army. Layton received the $300 bounty, a Mitchell received his freedom when his term of enlistment ended. The album was brought to the attention of Military Images by Shayne Davidson, an artist and genealogist who discovered the photographs and created a series of drawings exhibited at ArtPrize 2013 in Grand Rapids, Mich. 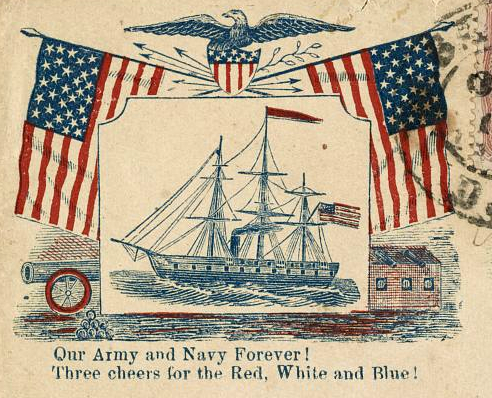 Her “Civil War Soldier” drawings were recognized in the top 25 of more than 1,500 entries. According to a family story supported by military service records, Capt. Prickitt fell deathly ill during his service in the regiment, and noted that some of the men in his company nursed him beck to health. 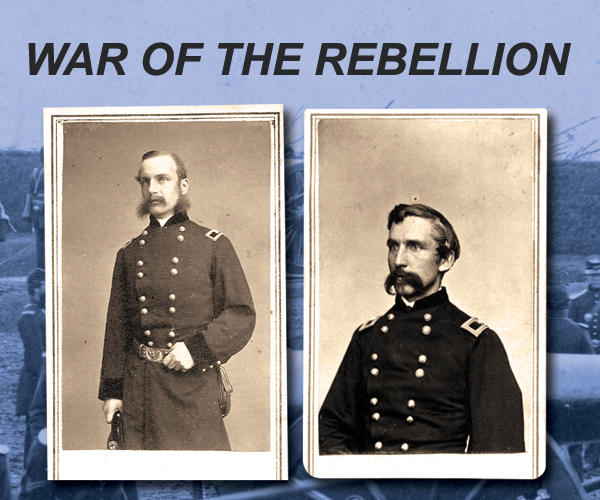 The men pictured in the album may have been the same soldiers that Prickitt credited with saving his life. The National Museum of African American History and Culture is scheduled to open in 2015. 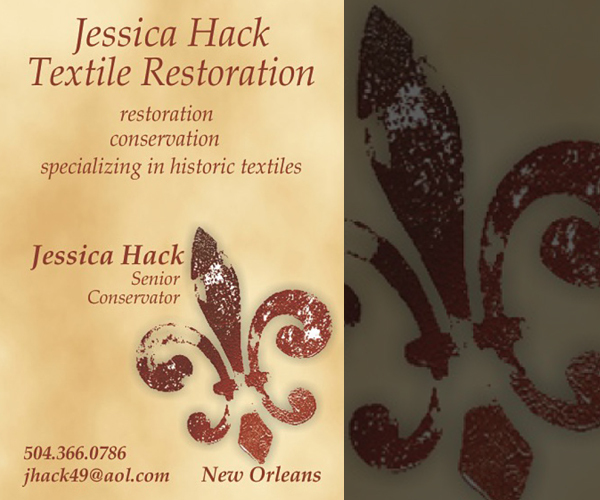 The album is planned to be part of two inaugural exhibits.